This writer, whose work is suffused with the South Bohemian countryside, has been awarded the Magnesia Litera twice – for the novel Selský baroko (Rustic Baroque, 2006) and for the novel Rybí krev (Fish Blood, 2013). He is one of the most distinctive modern Czech writers. 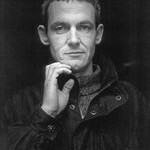 He was born on 11 September 1967 in České Budějovice, and the countryside of his childhood, as well as its more recent history, are reflected in his short stories and novels. His books have been translated into a number of languages including English, Italian and Hungarian. Rustic Baroque is one of those quiet, unassuming novels that sneaks up on you; the kind of book that draws you in and bears you along easily and languidly and then turns, just at the right moment, and very politely kicks you in the gut. Jiří Hájíček made his debut as a poet in the 1980s. His first prose was published in 1998 – a collection of short stories called Snídaně na refýži (Breakfast on Safety Island). Here he revealed himself as a chronicler of Czech village life. He mixes personal and objective history, interpersonal, family and intergenerational relationships, all within the context of the postwar and communist countryside, sketches of the human soul and the landscape. 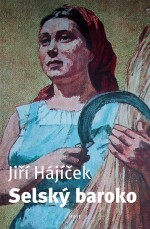 2001 saw the publication of Hájíček’s novella Zloději zelených koní (The Green Horse Rustlers), a story of the frenzied illegal prospectors for the mineral moldavite, which was adapted into a feature film, and a year later his first South Bohemian novel Dobrodruzi hlavního proudu (Mainstream Adventurers) came out. It is set during a period of transformation, with socialism on the wane and capitalism on the rise. At first sight it is the story of two lovers trying to deal with the banal problem of love and money against the backdrop of the wild 1990s with its restitution, society scandals and open borders, which usher in hitherto unknown attractions as well as corruption, financial ruin and prison. 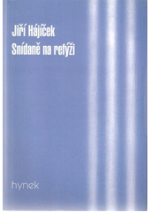 2004 saw the publication of a collection of short stories called Dřevěný nůž (The Wooden Knife), which can be seen as a kind of continuation of Snídaně na refýži. 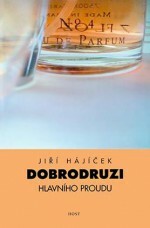 A turning point for Hájíček and his readers was the novel Selský baroko (Rustic Baroque), which came out in 2005. It focuses on the issue of rural collectivization in the 1950s, when the communists seized power after the war and began to confiscate property. Over night the private farmers and workers became enemies of the regime, and their fields, meadows and forests fell under the administration of the United Agricultural Cooperatives. People who had been tied to the land for generations were forced to watch as it was raped. After being denounced, farmers from the village of Tomašice ended up in prison, and the traces of guilt and revenge are still evident today – the genealogist Pavel sets out after them and it leads him to the present. 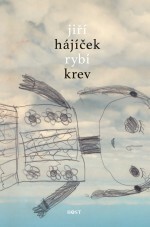 Seven years after the success of Rustic Baroque, Hájíček published another South Bohemian novel called Rybí krev (Fish Blood). This is also about memories of communist intrusions into the landscape and into the lives of ordinary people, this time the story revolves around the building of the Temelín nuclear power station, which involved clearing several villages. Their displacement severed old ties and roots. After fifteen years living abroad the main character, Hana, attempts to track down acquaintances, friends as well as family. In 2014 Hájíček added three unpublished texts to his series of short stories. The book consists of selected prose from Snídaně na refýži and Dřevěný nůž, and is called Vzpomínky na jednu vesnickou tancovačku (Memories of a Village Dance). Hájíček received the most prestigious Czech literary award, the Magnesia Litera, for Selský baroko and Rybí krev. The first book won Prose of the Year and the second Book of the Year. Selský baroko has been translated into English, Italian, Croatian and Hungarian, translations of Rybí krev are imminent in Belarus, Bulgaria, Macedonia and Poland.